Hi there!! Have you noticed a bit of a theme on my blog lately? I'm starting on my Christmas cards early so I don't run out of time like I normally do..... Okay but that's not why you're here. It's Bellarific Friday!! This week at Stamping Bella we were challenged to use a sketch which is often my go to for any card. 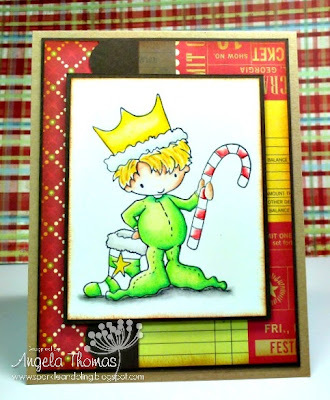 For my card today, I've used the image called King of the Candy Canes. The image was colored with Prismacolor Pencils and Gamsol. The DP is some of last year's Echo Park Christmas lines. I'm trying to use some of my old paper before I go buy more!! 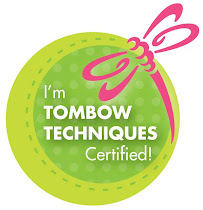 Have you checked out the Stamping Bella blog and all of the sneak peeks??? Aren't they fabulous??? I'll be showing one on my blog soon, I promise!! Next week's Bellarific Friday challenge is to use circles on your card. Adorable Angela! I am quite behind on my Christmas stash so far for this year so good for you! !